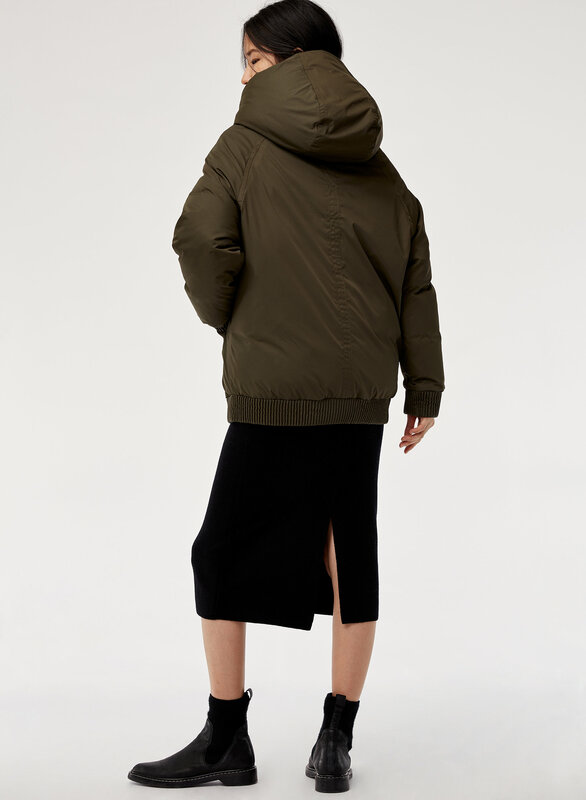 Styled with thurlow sweater and johan skirt . 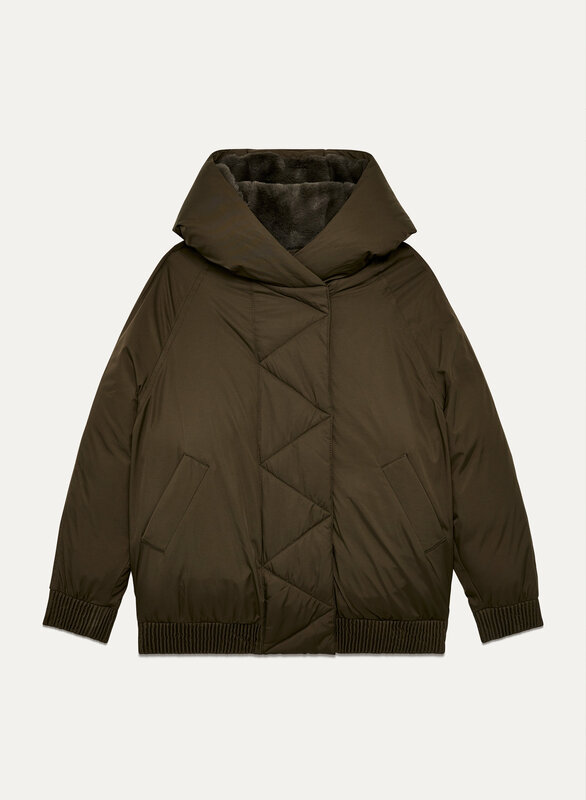 A rendition of the classic bomber silhouette, the Masey has a relaxed shape and modern feel. 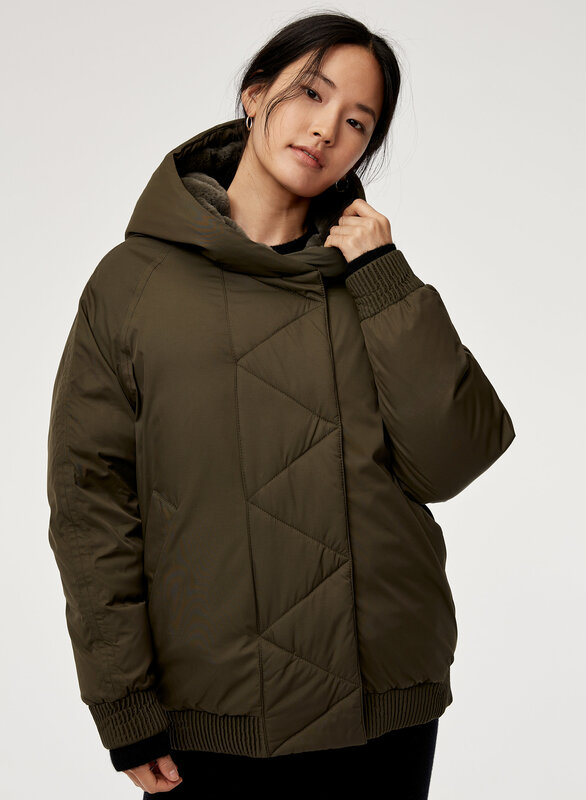 Engineered to deliver warmth to -30°C / -22°F, it's filled with 100% responsibly-sourced goose down and has a water-repellent, windproof fabric for complete element protection. 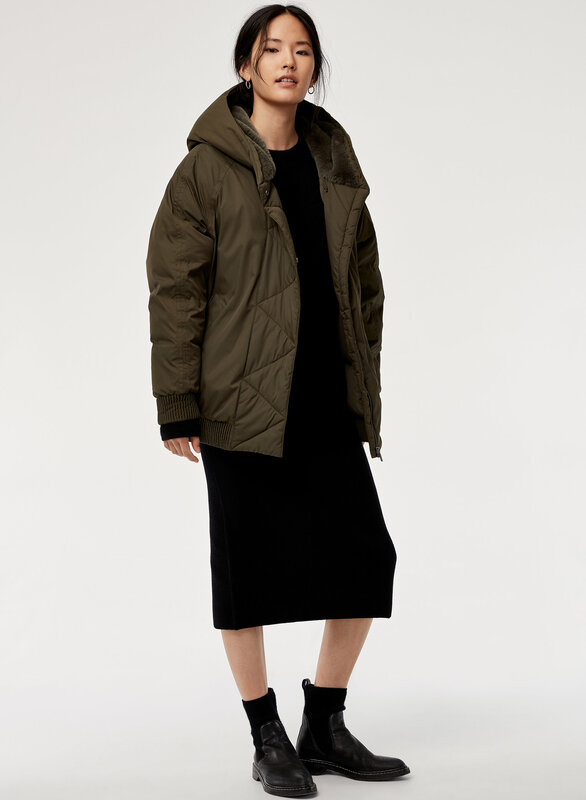 i actually really like this coat - its super cozy! theres also a lot of room. i only give it 2 stars because the quality is lacking for its price. its constantly shedding down and part of the pocket has already ripped along the seams. thankfully its an easy fix, but i havent had the coat longer than a month. I love this jacket! It keeps me warm even when it’s freezing cold outside during the winter. Would recommend to my friends and family any time. It is way to tight around the back and the arms are very small. It is a nice coat just the fit is weird. I love the jacket! The fit is big and loose but I love how cozy it still is. 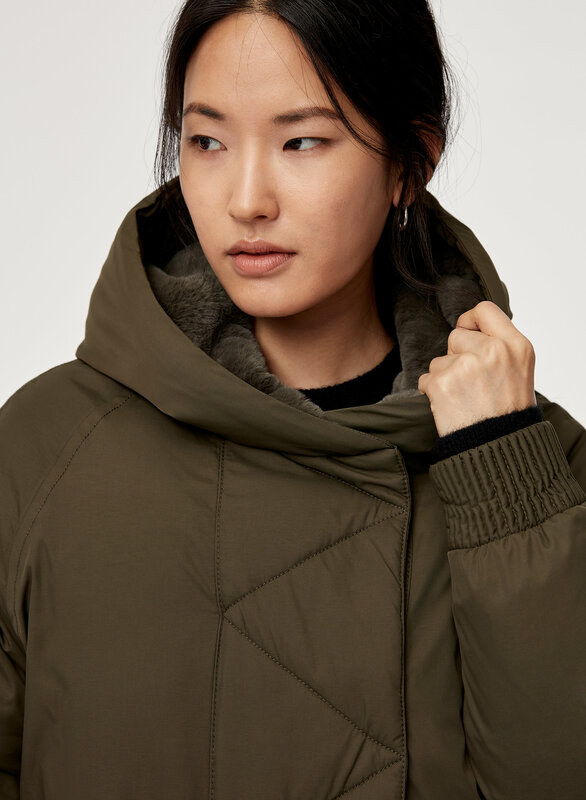 Everything about the jacket is an oversize fit including the hood but it still looks great on and the details of the jacket are what makes me love it most. So far this parka has been so warm. The temperature has only been -10 Celsius when I’ve worn it but I don’t even feel the cold in this. When it was about -5 I walked to work and was literally too warm in it which is amazing. It’s cute too I think it looks better in person. The faux fur is super soft and the hood is huge almost too big. That’s my one downside is I wish the hood was slightly smaller but I don’t really care. So glad I got this and am finally not freezing for 6 months of the year.